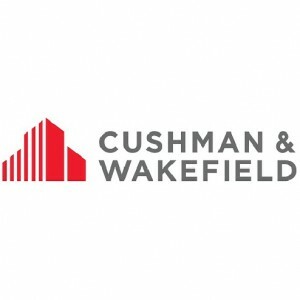 Cushman & Wakefield, one of the oldest and largest global real estate services providers, has filed a preliminary prospectus to take the company public. The prospectus filing with the U.S. Securities and Exchange Commission does not state the number of shares to be offered, nor the pricing. It was filed Wednesday. Once the offering is completed, C&W plans to use the money to alleviate some of its debt load, which at the end of March sat at in excess of US$3 billion (the company lists assets of $5.9 billion in the filing). The prospectus says C&W’s current parent DTZ Jersey Holdings Limited, a Jersey limited company, will be restructured into a public company which will be incorporated in England and Wales as Cushman and Wakefield plc. It bought C&W for a reported $2 billion in a merger completed in 2015. In the prospectus, Cushman says three major investors are involved in its organizational structure, TPG Funds (49.63 per cent), PAG Asia Capital (37.33 per cent) and the Ontario Teachers’ Pension Plan Board (13.04 per cent). In the filing, C&W says it is one of the three top real estate services providers in the world as measured by revenues and workforce. It is active in 70 countries, with 400 offices and about 48,000 employees, managing more than 3.5 billion square feet of commercial real estate for institutional, corporate and private clients. It’s growth in recent years has been significant, expanding from 250 offices and 16,000 employees as recently as 2012, including the merger with DTZ. – Valuation and “other” including appraisal management, investment management, portfolio advisory, diligence advisory, dispute analysis and litigation support, and financial reporting. C&W has extensive operations in Canada, with 22 offices from coast-to-coast. Chuck Scott, a 20-year industry veteran, serves as Cushman’s Canadian CEO. During 2017, the company reported revenues of $6.9 billion, mainly derived from fee revenues of $5.3 billion. However, it also reported a net loss of $221 million for fiscal 2017. For the three months ending March 31, 2018, C&W reported a net loss of $92 million on revenues of $1.77 billion. Cushman & Wakefield celebrated its 100th anniversary during 2017. It was formed in New York in October 1917 by brothers-in-law Clydesdale Cushman and Bernard Wakefield, according to the company’s posted history. They expanded the firm across the United States, and then internationally. At various times during its history, C&W has been owned or controlled by RCA Corp. as well as Mitsubishi Estate Co. Ltd. The move follows a similar filing in December by competing commercial brokerage Newmark Knight Frank. In a release announcing the offering, C&W says Morgan Stanley, J.P. Morgan, Goldman Sachs & Co. LLC and UBS Investment Bank will serve as joint book-running managers and representatives of the underwriters for the offering. Barclays Capital Inc., BofA Merrill Lynch, Citigroup Global Markets Inc., Credit Suisse Securities (USA) LLC and William Blair & Company, L.L.C. will also serve as joint book-running managers.